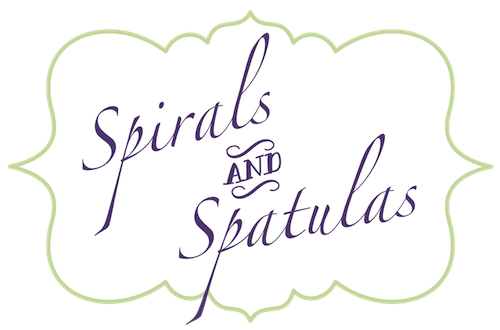 Spirals & Spatulas: "Cake is Important, Okay?" This is a post about cake. I know, I know...I already wrote about our cake. But cake is important, okay? Important enough to write about a million thousand times. This time, I'm writing about the outsides of the cakes...you know, the pretty part. Once upon a time I found this cake photo, and I said to myself I want that. 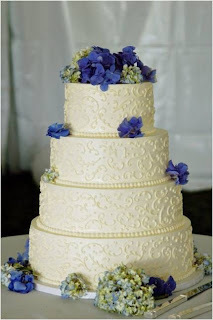 But then I started being obsessed with everything being cream/ivory/champagne, and I became very anti-white, and I decided that cake just wouldn't be as cool if it wasnt white-white. I can't remember where I found this picture...but I loved all the icing swirly scrolls! Swirly scrolls in cream...even better! 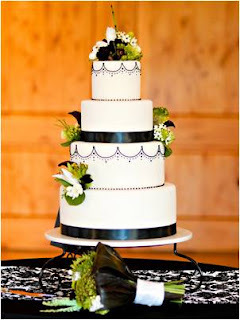 4 tiers...perfect! 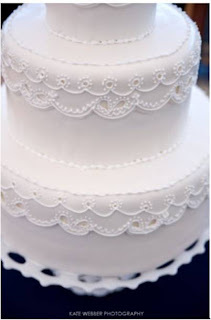 Piped icing dots....love it! 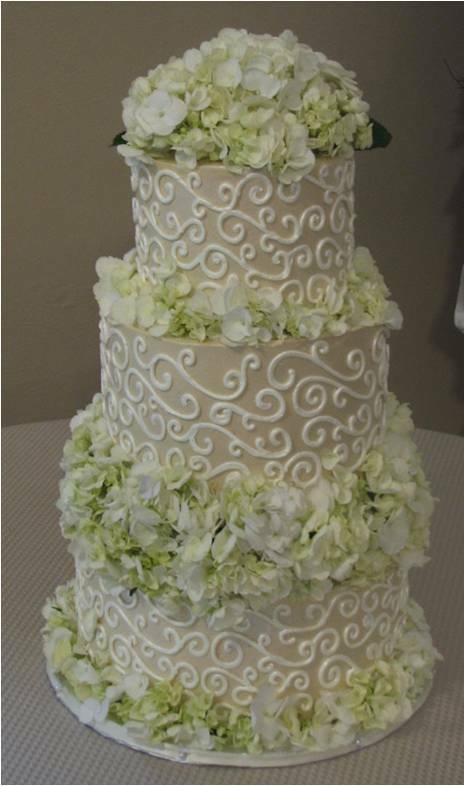 So what I wanted was some sort of ivory, swirly-scrolly, icing-dot-piped, 4-tier, beribboned beauty. I had a feeling it was going to be hard to describe to Megan (my cake vendor/genius). So, I whipped out my colored pencils, and I drew a picture. 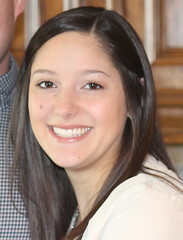 See Megan? This is what I want! So my drawing skills aren't wonderful...but sometimes drawing something out is the only way to get your ideas across! 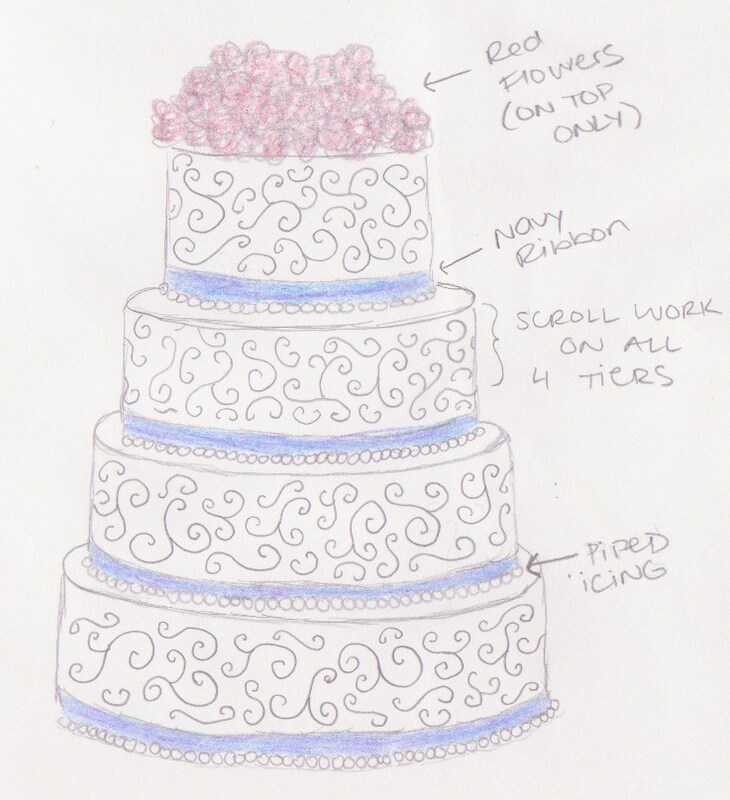 Hopefully the actual cake looks better than my little pencil sketch! What do you think? Does it look good enough to eat? katie this looks like an amazing cake!!! 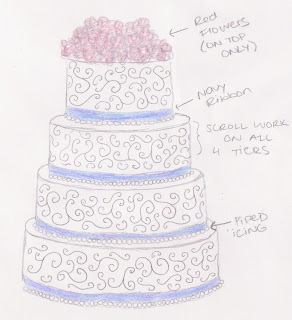 i love the red flowers idea only on top and the navy blue ribbon on all the tiers! This looks a lot like my cake! lol Great taste! hehe Except mine will have blue and yellow flowers, on top and a few on each layer. So excited for you girl!